The Court of Appeal, sitting in Owerri, Imo State, has nullified the election of Governor Okezie Ikpeazu of Abia. The court also declared Alex Otti of the All Progressives Grand Alliance winner of the election. The court faulted the judgment of the Abia Election Petition Tribunal, which upheld the election of Mr. Ikpeazu. President Muhammadu Buhari will spend N18.1 billion in 2016 to run the State House, Nigeria’s seat of power, an amount that is N11.5 billion more than what his predecessor, Goodluck Jonathan, spent in 2015. 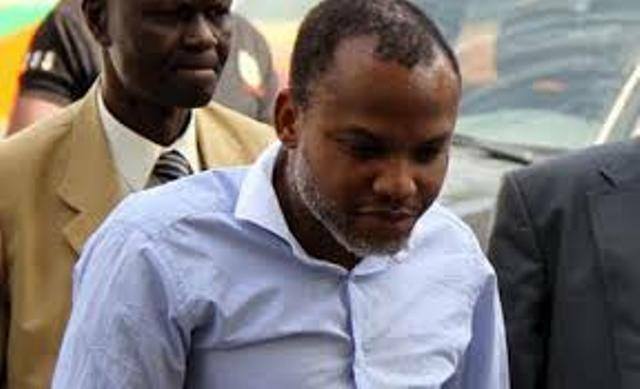 Detained leader of the Indigenous People of Biafra and founder of Radio Biafra, Nnamdi Kanu, said he regretted every uncanny statement made against President Muhammadu Buhari, Former President Goodluck Jonathan in the cause of presentation on his Biafra radio. 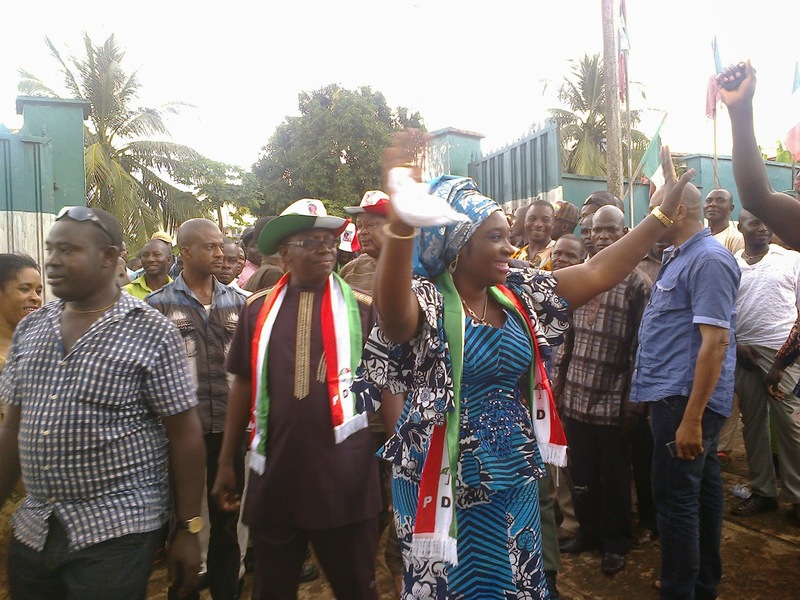 Stakeholders in Anambra Central Senatorial zone have resolved to return Senator Uche Ekwunife to the Senate come February 2016 Re-Run Election. They made the resolution yesterday in Awka at a town all meeting organized by Senator Uche Ekwunife as a mark to interact with the constituent on ways to champion effective representation of the senatorial district. Our visionary perception of things and our bank of management skills in our great party equipped us to understand that a day like this will come and we are glad that events have not proved us wrong. We enjoin all okada operators to rejoice like someone who lost a property and regained it, rather than someone who received a new property as a gift. The Nigerian minister of state petroleum, Dr. Ibe Kachikwu said Federal Government has resolve to scrap the Petroleum Support Fund (SUBSIDY ) and reduce the pump price of petroleum to 87 naira per little which will commence on January 1, 2016. He said the government will not leave any stone upturned to ensure the refineries are functioning to its optimum capacity from 2016 onward. The prestigous Zulu and Swaziland Annual festival that attracts tourists from around the world seems not to give way to civilization now , owing to the fact that the country's income per earning is tide to the huge some of revene being generated from this annual rituls. ages so they are all Virgins. The Reed Dance ceremony, is an annual Swazi and Zulu tradition held in August or September. In Swaziland, tens of thousands of unmarried and childless Swazi girls and women travel from the various chiefdoms to Ludzidzini to participate in the eight-day event. The much talked about Olamide Live in Concert 2015 is set to thrill the world with amazement, where the league of Nigerian top Music giants will perform live in concert at Eko Hotel & Suite, Victoria Island Lagos,Nigeria. West Africa. 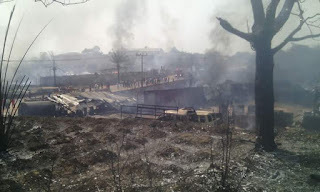 Member representing Nnewi North and South in the House of Representatives, Honourable Chris Azubogu has faulted the in-adequacy in the operation of the nation's fire service, led to the wanton lost recorded in the Nnewi Gas Plant explosion , and called for re invigoration of the nations fire system. 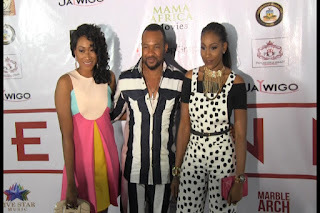 The 2015/2016 AfricaMagic Viewers Choice Awards,AMVCAs, M-net and Dstv is set to crown this year viewers award, and Nse Ikpe-Etim Top the list. The organizer of the award, defied the yuletide season break , brainstorm and fine tuning the choice of the viewers delight, design to presnt the best among the rest in this year MTVDST Viewers Award season.. 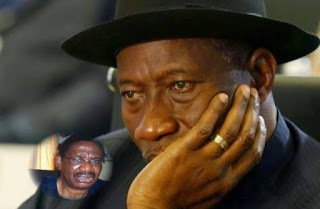 The immediate past prsident of Nigeria, Dr. Godluck Jonathan has roundly replied Professor Itsay Sagay of his involvement in the alleged #2.1 Billion arms deal. He frwoned at the move by the legal lumminary to cast aspersion on his person, when the investigation into the said deal is still on and would not expect him to front himself before the investigation panel when they are still on top of the assignment..
Industry town of Nnewi, Anambra State was, yesterday, plunged into mourning when over 100 people were burnt to ashes in a fire disaster, which occurred at Inter Corp Oil Limited (an LPG gas plant). The Government of Anambra State hereby lifts/removes the restriction placed on Commercial (Okada) & Private Motor Cycle Riders in plying some designated roads in the State in the spirit of the season. Okada & Private Motor Cycle Riders can now ply all the Roads in the State except the Enugu-Onitsha Express Road & Onitsha-Owerri Express Road. However, this removal of restriction is on the condition that every Motor Cycle Rider must wear a Crash Helmet and carry one passenger at a time. Recently the image of Smart Drilling Services Ltd (SDS) an indigenous oil servicing firm in Nigeria and the reputation of a number of her directors was the subject of an orchestrated media attack sustained by a former Managing Director of SDS, Mr Ukpai I. Ukpai and Sahara Reporters. In an article titled ' Rejoinder: SDS Company Executive Seized From Court Premises, Wrongfully Detained" by one Awa Kalu, it was alleged that the former MD had been seized from court premises and is being wrongfully detained. The article written by a faceless person who opted to use a pseudonym as well as a distant location of Helsinki, Finland to drag the image of SDS and her directors in the mud alleged that Mr Ukpai had been seized in commando style and was illegally detained on the orders of some directors owing to the ongoing legal battle over control of SDS. Are you in the East this Xmas? Got a plan to hang out with family and friends in a classy style? 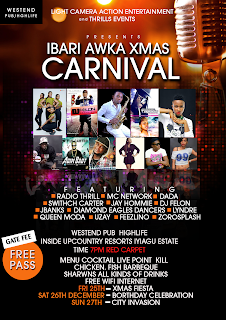 Then West End Pub & Highlife (Ibari Awka) is where to be. The National Leader of the All Progressives Congress, Asiwaju Bola Tinubu, says he made a big sacrifice to ensure that the All Progressives Congress did well in the last elections. Tinubu, who is a former governor of Lagos State, said this at the 70th birthday anniversary of social commentator and National Democratic Coalition chieftain, Prof. Segun Gbadegesin, in Lagos on Monday. with annual Christmas carol and awesome lighting to launch the season . This edition makes it the second edition where many have been on the look out, having experienced the most remarkable memory in last year Christmas Carol celebration. Stakeholders have been called upon to embrace the aggressive move to sustain Igbo language speaking among its people, for it not go into extinction in the near future. They made this advocacy at the premier of an Igbo Film, tagged CHETANNA in Awka, stressed the need to vigorously revive the eroding Igbo language which is gradually giving way to English language and urged Ndigbo to invest more in their cultural promotion. .
A High Court of the Federal Capital Territory, has granted former National Security Adviser, Sambo Dasuki; a former Minister of State for Finance, Bashir Yuguda; a former director of finance at the office of the NSA, Shuaibu Salisu; a former Sokoto State Governor, Attahiru Bafarawa; his son, Sagir, and two firms Dalhatu Investment Limited and Jabbam Ada Global Services, bail in the suit filed by the Economic and Financial Crimes Commission, accusing them of criminal breach of trust and of obtaining stolen property. The fuel subsidy scam probably broke the ceiling in a room crammed with some of the worst corporate perfidy. Nothing could more sabotage the economic interest of a nation, many Nigerians thought. The executive Governor of Anambra State, Chief Willie Obiano has formally commissioned the Birdges the cross Aroma to Governemt House and Amawbia at the entrance of Awka capital city. The commissioning ceremony was witnessed by top government functionaries, APGA Chieftains and prominent stakeholders of Anambra state. The Nigerian Army on Sunday said its troops in Borno killed a notorious member of the extremist Boko Haram sect as well as two other members known for terrorising remote community in the North-east state. The catholic Bishop of Awka Diocese, Most Reverend Paulinous EzeOkafor has urged Nigerians to be patient with the present administration to enable them relay the plans they have to re-position the economy as envisaged by the international community. Revealed investigations into how $2.1bn meant for the procurement of arms was squandered may lead to the premature exit of Central Bank of Nigeria (CBN) Governor, Mr. Godwin Emefiele. A source in the presidency told The Guardian that circumstances that surrounded the appointment of Emefiele, including recent revelations about movement of the funds, and his involvement in the unexplained presence of two former heads of commercial banks, when President Buhari hosted members of the international business community in London, are being counted against the governor. Nigerian federal lawmakers, led by incumbent Deputy President of the Senate, Ike Ekweremadu, and former Deputy Speaker Emeka Ihedioha, withdrew a princely N7.75 billion of public funds in four years to purportedly review sections of the 1999 Constitution, PREMIUM TIMES can authoritatively report today. 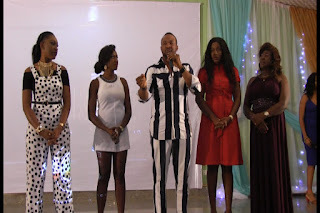 The maiden Best of Nollywood, BON Awards ceremony ended in Akure amid glitz and galmour, where Veteran Nollywwod Actress, Stephanie Okereke's Film "DRY" received the accolades of the award. The film production that featured veterans aactors and actresses like Liz Benson, William McNamara, Darwin Shaw and Paul Sambo were among artistes awarded for thier roles in the development of local film industry in Nigeria. 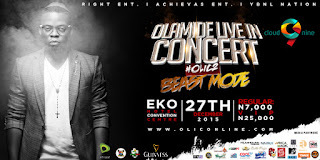 had since remained one of the celebrated Nigeria home video that star artistes around the country, converged on the newly opened International Conference Centre, Akure, the Ondo State capital, where this year’s edition of the Best of Nollywood, BON Awards was held. 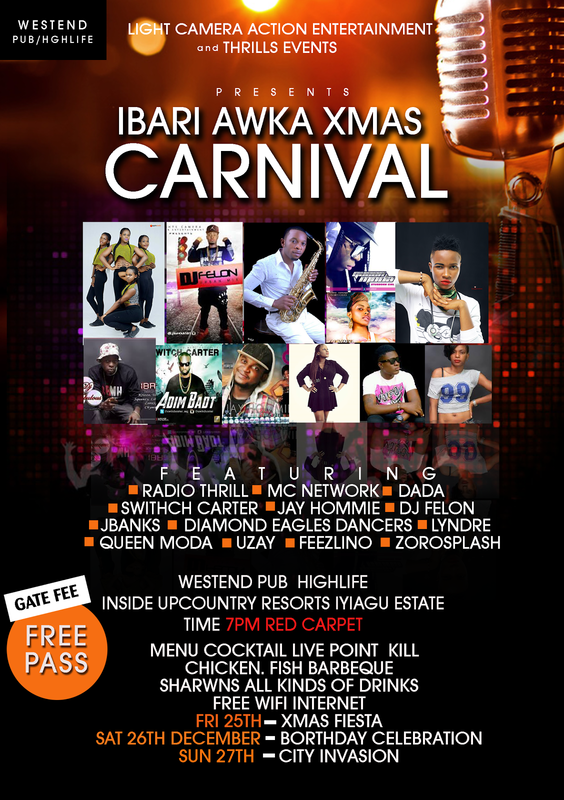 the City Mall Grounds Ikeja for the biggest “White Christmas” party . Senate President, Bukola Saraki, has advised publishers of online media organisations to separate the real professionals among them from those using the platform to blackmail law- abiding Nigerians. 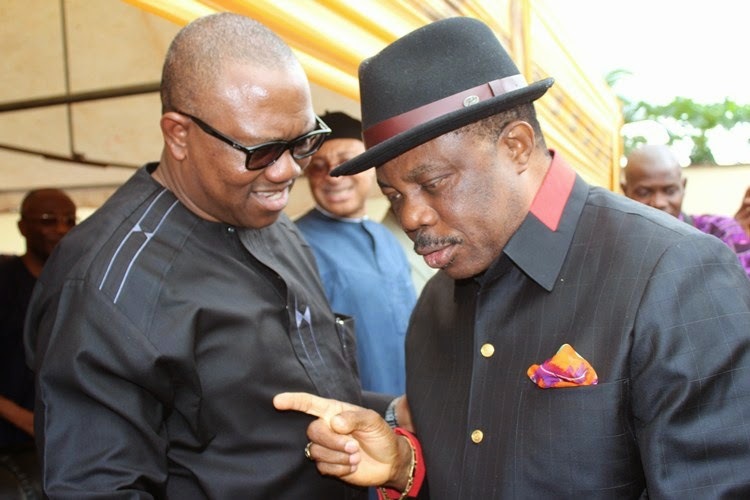 Worried by the in­tense criticism from opposition parties in the State, a pres­sure group operating un­der the auspices of House of Assembly Aspirants Association of Nigeria, HAAN, Anambra chapter has vowed to surmount any obstacle that may truncate Governor Willie Obiano’s second term bid in Anambra State. 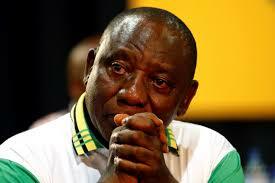 The group in a two-page strong worded com­muniqué signed by its National Chairman, Hon. Nduka Alor and his sec­retary, Benedrine Agbata also warned the former governor, Mr Peter Obi and his aides to stop dis­tracting his successor, Obiano to enable him continue to deliver on the mandate given to him by the people. Kaymu.com.ng Nigeria's #1 online marketplace has announced its partnership with Interswitch to provide innovative payment options for its customers. As this year's Christmas approaches, the Anambra State Government hereby appeals to all residents of the state, corporate bodies, traditional rulers, president generals of town unions, churches, schools, market organizations and hotels to decorate in and around their premises and other strategic places in their communities in order to depict the mood of Christmas. Govr. Obiano Launches new Offensive against Crime with Purpose-built Patrol Cars. The governor of Anambra State, Chief Willie Obiano has blazed yet another trail in the war against criminals with a renewed crackdown on the underworld which saw him donating 25 purpose-built American style patrol cars to the Nigerian Police. President Muhammadu Buhari on Tuesday lamented that despite government’s efforts aimed at ensuring the conduct of credible elections, some malpractices were witnessed in the recent governorship elections in Kogi and Bayelsa states. 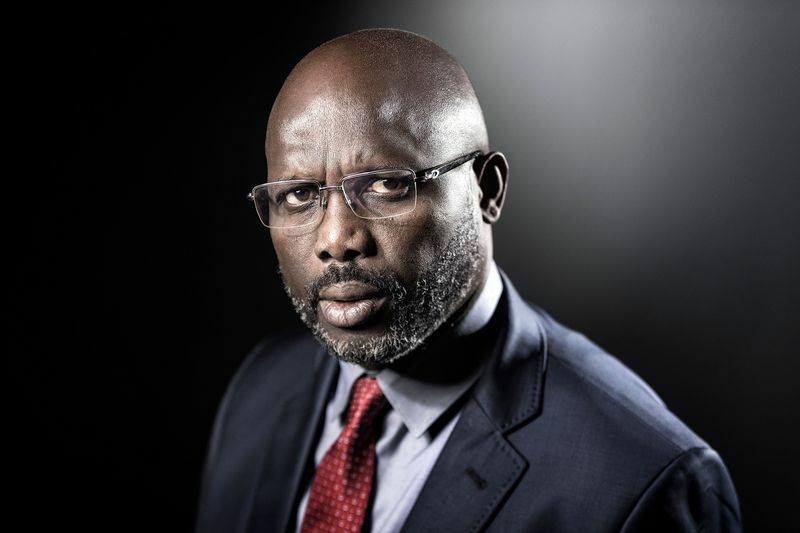 He called on Nigerians to support all necessary measures aimed at ensuring free, fair and credible elections in the country, including the use of card readers and permanent voter cards. Nigeria spent about $35bn (N6.9bn) in the last five years to subsidise petroleum products, the World Bank has said. In its ‘Nigeria Economic Report No. 3’, which was released in Abuja on Tuesday, the bank said fuel subsidy incapacitated the country’s ability to save for the rainy day occasioned by falling crude oil prices in the international market. Popular dancehall singer, Cynthia Morgan, in a chat with Saturday Beats, revealed that the first time she laid eyes on her father was when she turned seven years. 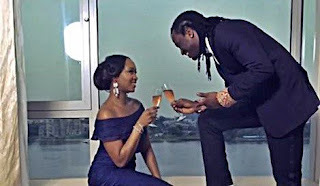 The delectable singer said that although she did not grow up with her father, she made the best of the situation by determining to be a success in life and make her mother proud. When the song, Olufunmi, was released in 2003, the group, Styl-Plus, shot from obscurity to becoming the sweethearts of Nigerians. Within months, the song became a national anthem. Soon after, they hit the public with a comeback, Imagine, and everyone thought these three dudes, Shifi, Tunde and Zeal, were in the industry to stay. Fast forward to the present day and nothing has been heard from the band. Hip-hop sensation, David Adeleke popularly known as Davido, has told Saturday Beats that performing with Wizkid was something he had known would always happen at some point. 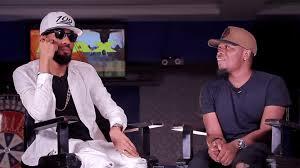 Speaking through his manager, Kamal Ajiboye, the artiste revealed that there has never been any rift between the two of them as widely claimed and that they have always had respect for each other. The Ondo State Governor, Dr. Olusegun Mimiko, and other leaders of the Afenifere, have once again called on President Muhammadu Buhari to urgently implement the resolutions of the 2014 National Conference. Mimiko also called for the unity of the Yoruba leaders in the South-West irrespective of their political or religious affiliations. The Economic and Financial Crimes Commission has preferred six counts of money laundering and procurement-related charges involving N2.1bn against the former Chairman of DAAR Communications Plc, Chief Raymond Dokpesi. President Muhammadu Buhari on Monday assured Nigerians that he would not assent to any legislation that is inconsistent with the nation’s constitution. The Court of Appeal sitting in Enugu Monday, sacked Senator Uche Ekwunife, member representing Anambra Central Senatorial zone in the National Assembly. The court’s judgement was consequent upon an appeal filed by Sir Victor Umeh of the All Progressives Grand Alliance, APGA. 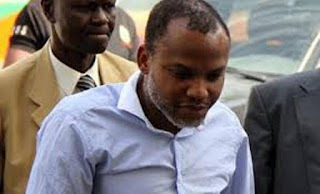 A Magistrate’s Court in Wuse Zone 2 of the Federal Capital Territory has fixed December 16 for ruling on whether or not to strike out the charges instituted against a leader of Biafra agitation and Director of Radio Biafra, Mr. Nnamdi Kanu, by the Department of State Services. Amidst increased tension in some parts of Bayelsa State, the Independent National Electoral Commission on Monday cancelled the governorship election in the volatile Southern Ijaw Local Government Area of the state. The atmosphere around the national secretariat of the All Progressive Congress, APC, Abuja has become tense following a clash between supporters of Yahaya Bello and Hon. James Faleke. Both have entrenched interest in the Kogi State election and are jostling to replace the former governorship candidate of the party, late Abubakar Audu.